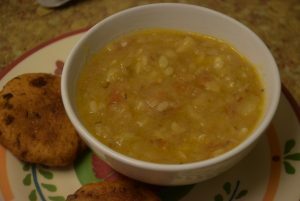 In our traditions, turmeric , onions, garlic are all avoided during fasts. Some people also avoid tomatoes,cilantro, green chillies during fasts. As per Ayurveda, rock salt is the healthiest of all salts we consume. But since it is less saltier than the Iodized white salt , hence it is less popular with our homes and hotels. 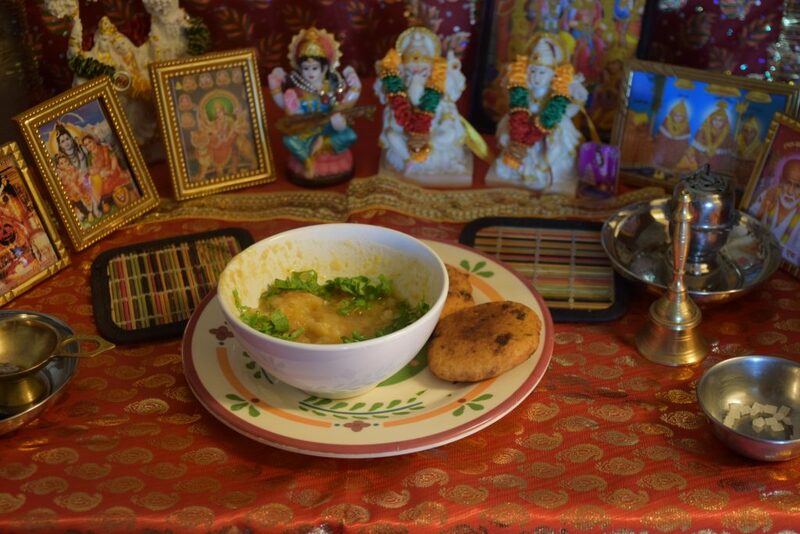 Also I have added bottle gourd (lauki/doodhi) with potatoes to enhance the health factor. 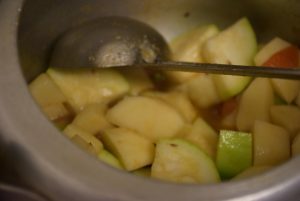 You can use this recipe to make any curry with vegetables those have lot of water content like zucchini, snake gourd(tori), Indian apple gourd(tinda) in the same amount. 1. Wash the vegetables and peel the potatoes and bottle gourd. 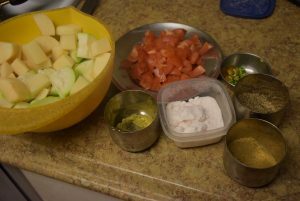 Now dice them into cubes of appropriate size and also chop the tomatoes, chillies and cilantro. This may take 5-10 mins. 2. Now take a pressure cooker (it’s really a boon for Indians) , add ghee or oil in it and keep it on high heat. 3. When the ghee is pre-heated, add the cumin seeds. Let it sizzle for a while. 4. 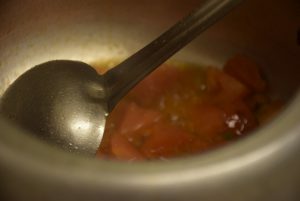 Now add the tomatoes with chillies and stir them with a ladle. 5. Let them cook for 2 mins, then add the diced veggies (potatoes and bottle gourd) and stir them. Also add the salt, coriander powder and fennel powder. We don’t add Garam masala(curry powder) and turmeric(haldi powder) during fasts. If you want you may add them 1/4 tsp or to taste . Also I don’t add red chilly powder but that could be added as per your spice level tolerance . 6. 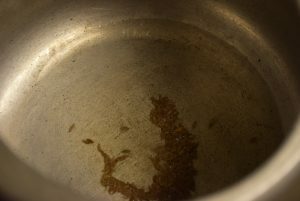 Add 4 tbsp of water if you desire or just close the lid after mixing everything well. Let it pressure cook on high for 5 mins. Once you heard the whistle ,turn the knob to medium heat , in my case, I turn it to No.2 to slow down the process and pressure. 7. Once you hear another whistle turn off the heat. Let it cook in the captured steam or latent heat. Once you stop hearing the sizzling sound of the nozzle of the cooker , open the lid. 8. Your curry is ready to serve hot with any Vrat side like kuttu ke pakore, kuttu ki poori or shamak ki tikki or cheela. 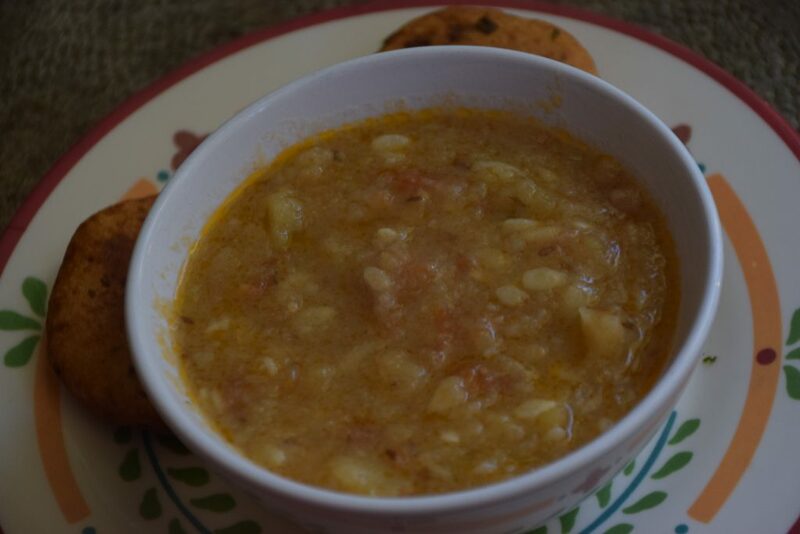 Enjoy your fast like other days with this curry and feel lighter at the same time! Hope you enjoy making your meal ! Please write to me in the comments below for any queries or suggestions! Wishing you Happy days of Fasting ! 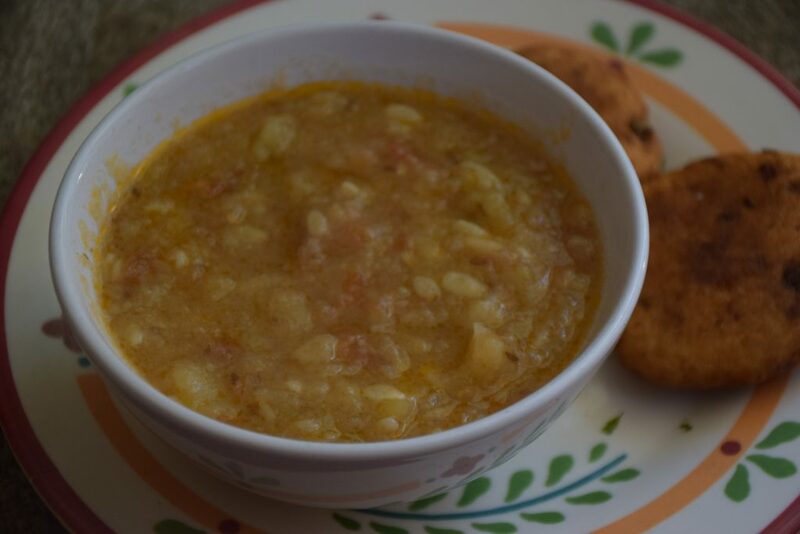 This entry was posted in Food, Main Course, Recipes, Vrat Recipes and tagged 20 mins, aloo tamatar, basic fasting recipe, cheela, easy, fast, gravy, healthy, Indian curry, kuttu ke pakore, kuttu ki poori, no garlic, pressure cooker, ras-e-wali, rasedar, simple, vrat, without haldi, without onion.